Combine comfort and practicality with this loose fit hoodie dress. The low scoop neckline with a jersey binding cleavage gives a flattering shape while the casual fit ensures unrivaled luxury and coziness. As jumper dresses take the season by storm, stay fashion forward with a custom hoodie dress. Perfect for use all-year-round the printed women's hoodie dress borrows the best of sport and street styles with comfortable, breathable fabrics paired with a mini dress hooded design. The full-length sleeves are finished with rib detailing and the functional drawstring around the hood features stylish silver toggles. 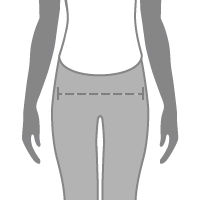 Choose from two jersey fabrics for your women's hoodie dress and get the urban look whatever your shape, with sizes from XXS petite up to XXL plus size. Your custom hoodie dress is available in a choice of two jersey fabrics. Rox Sports Jersey is a weft knitted sports fabric. This makes it incredibly soft, as well as smooth and flat. Although this is a heavyweight material, it is incredibly breathable so it's perfect for all-season wear. Ponte Jersey has an amazing matte finish and is a double knit jersey. Slightly heavier weight with a thick, luxury feel to it, the natural figure-hugging properties of this material accentuate natural curvature. Both jerseys have outstanding stretch with great recovery, allowing both comfort and freedom of movement. Weft knitted sports jersey. Smooth. flat and breathable. Double knitted ponte roma. Matte finish with luxury feel. Within our online design tool you can choose to create your own labels for your custom hoodie dress. 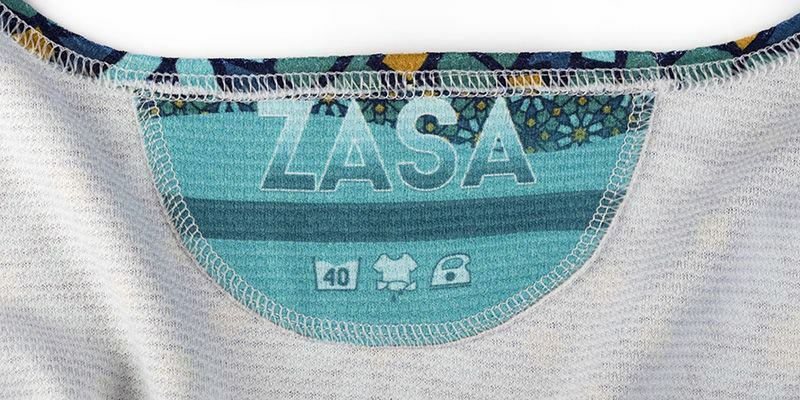 Each fabric label is made at the time we make your dress, so you can customize with a message or your customer's name. Custom labels can really help build your brand - perfect if you intend to sell your women's hoodie dress, with the added benefit of helping you to become easily recognizable. Your custom hoodie dress is the pinnacle of versatility. Style with wedges for a casual night out or pair with heeled boots and accessories for a more dressed up look. Perfect with tights or leggings in the autumn, and superb with sandals for a summertime look. This women's hoodie dress can even be thrown over swimwear to warm your up at the beach once you've come out of the sea. Mjkstudio hoodie dress I bought a hoodie dress designed by mjkstudio in Jersey fabric . The fabric is great washes well and has a nice heft and stretch and the print fantastic. Remember to take note at the sizing chart and dimensions a USA size 10 is as larger size. Will I still have good movement with figure-hugging fabrics? You certainly will. Both of these jerseys have amazing stretch qualities and great recovery. This means that they will stretch with you when you move, as well as easily go back to their original shape when you relax, or when you taken the dress off. Is this a jumper or a dress? It's both. Your custom hoodie dress is what we call a jumper dress. There is no reason why style can't be comfortable and our women's hoodie dress proves just that. Ideal for those days where you need to dress up, but comfort is of the utmost importance. You can. Within the design interface you can choose the color that your top stitch thread will be, which will also control the color of your jersey binding and your drawstring. Simply select either black or white when you design your custom hoodie dress. Browse a selection of hoodie dress designs in our curated marketplace.